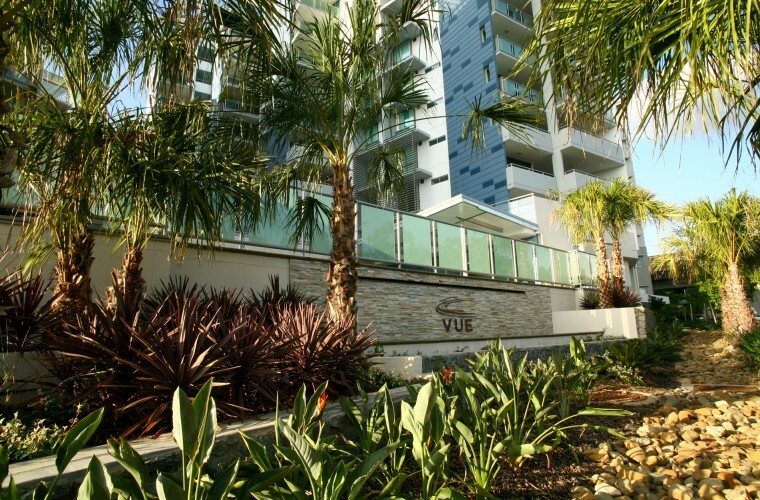 Vue Apartments is located on the edge of the Brisbane River and comprises 185 units within its two towers and villa complex. 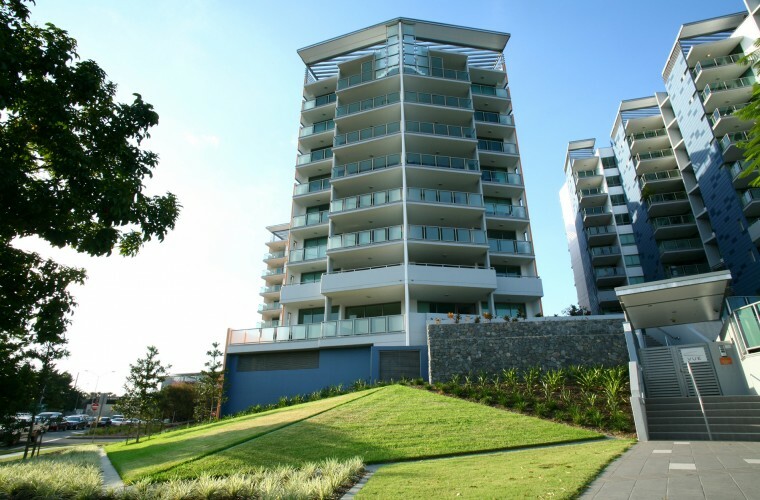 O2 Landscape Architecture provided Concept and Detailed Design services for the podium landscape, rooftop terraces, streetscape and frontage to Coronation Drive. A sculptured turf mound dominates the prominent corner, creating an element of visual interest whilst interpreting the distinctive ‘garden’ settings of neighbouring developments along Coronation Drive.